Get Better. Do Better. Be Better. At HealthRIGHT 360, we value diversity and we’re dedicated to creating an environment that embraces diverse experiences, ideas, backgrounds and perspectives. HealthRIGHT 360 is proud to be an Equal Employment Opportunity employer. Under the general supervision of a Dentist in a clinical setting, assists the dentist in providing dental treatment. Healthright360's Integrated Care Center/Haight-Ashbury Medical Clinic is a fast paced, patient centered environment that integrates medical, dental, mental health, substance use, and social services. We strongly believe that healthcare is a right and not a privilege. Are you an empathic team player with excellent communication and organization skills? Do you want to work for an organization that is making a difference in counties across California? Are you passionate about helping people make and sustain change in their lives? 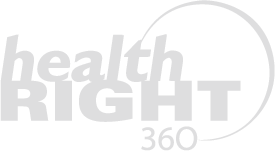 If so, HealthRIGHT 360 is currently looking to fill an Administrative Assistant position at our EPA program in San Mateo County, CA. It is the responsibility of the Primary Care Provider to act as a clinical leader by providing quality primary care services to HealthRIGHT360 (HR360) patients in a Patient Centered Medical/Health Home delivery model, helping to grow the overall practice, and promoting team functioning. They act collaboratively with an assigned physician according to California state law. They are also responsible to uphold and imbue in others a commitment to addressing racism, and gender and sexual discrimination within the organization and our clinical practice. © 2019 HealthRIGHT 360 All rights reserved.